I don't know, but I've been told . 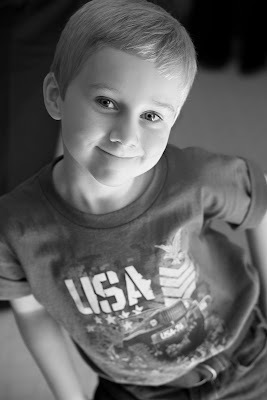 . . Hayden turned six years old! 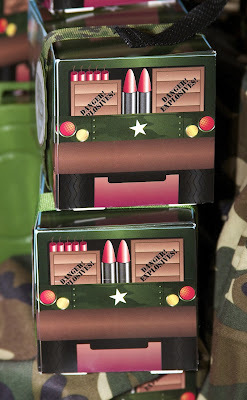 I'm so excited to finally share with you all the images from my Son's Army Birthday Party! 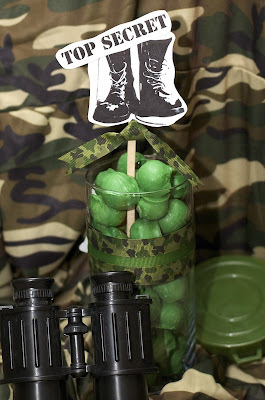 I often find myself stumped when it comes to boy themed parties, however after months of meticulously researching/ planning, I think I came up with a party that was perfect for my little soldier! 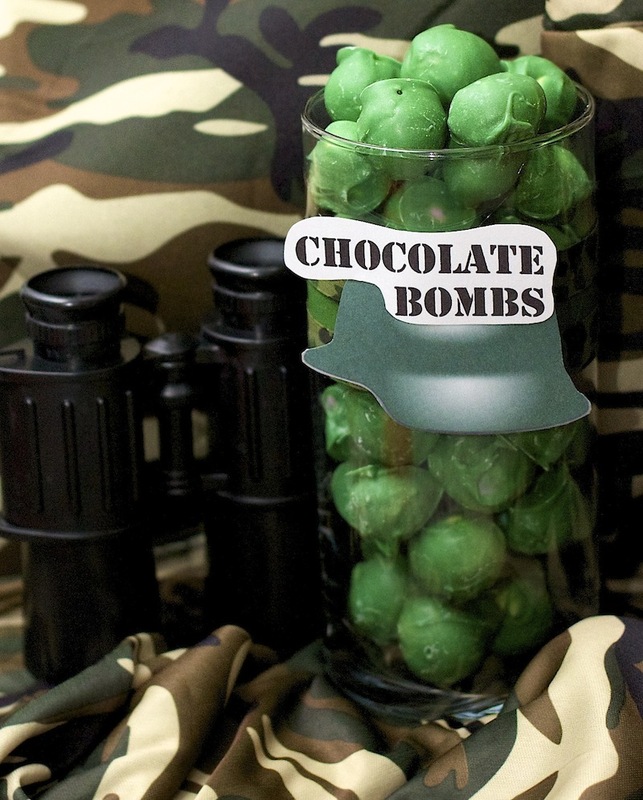 Hand-Dipped Chocolate Covered Malt Balls, YUM! This cake was created by a friend and was absolutely STUNNING! I kept the cake "top secret" from my son because I wanted to see his reaction when it arrived! One month prior to my son's party was my nephew's. He too went with an Army theme; I wanted to share with you the cupcakes & toppers I created his birthday gala (smiles). April through June is a very busy time for me; we (my family and myself) have parties galore! And, I'm the designated party planner! So, I would like to apologize for lack of posts. I just recently finished "two" baby showers and can't wait to show you my creations! For now, I think it's safe to say; I'm all partied out (sigh)! However, before I leave, I wanted to share one more thing. 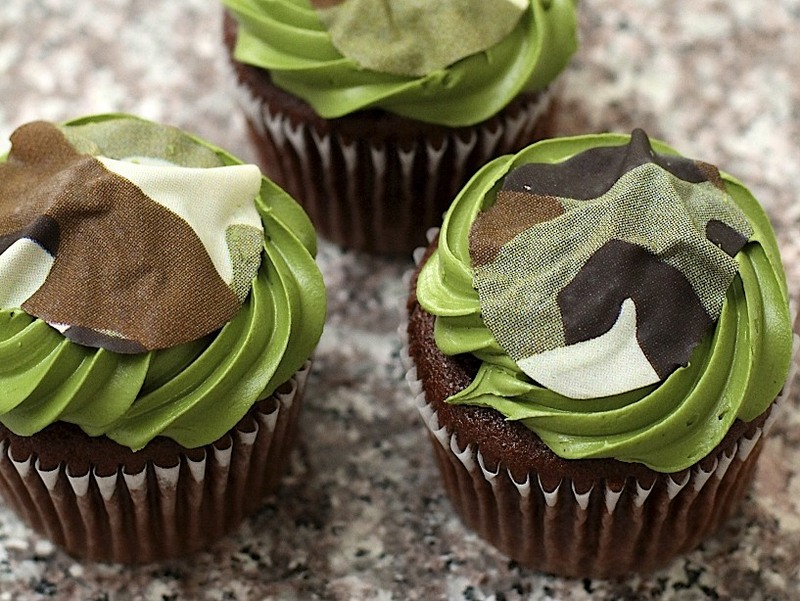 I found these cute camouflage cupcake tattoos @ Walmart (on clearance) and had to try them. Custom frosted cupcakes from Walmart. 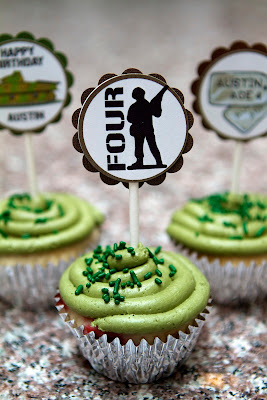 I cut & draped the tattoos over the pre-made cupcakes like fabric, the texture of the tattoo itself reminded my of an army uniform. I think the outcome was fun & whimsical! And the best thing about it is it was So Simple (whew)! I'll be joining the following parties . . .
That is an ADORABLE party!!! Thanks for stopping by my blog. This is a fabulous party! (from one party-lovin' gal to another!). I have never seen anything like this and I love it. Especially the different treat boxes for the girls and the boys. sooo cute... LOVE every detail! Wow!! Everything looks SO good!! I am stopping by after you commented on my blog...Im about to post a 'geek squad' themed party... you'll have to check it out! What a fabulous party for one darling guy! 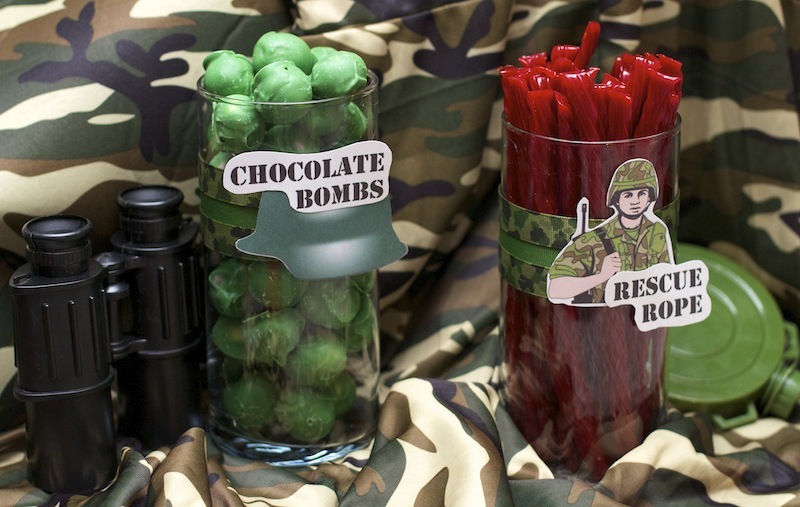 All the decor, treats, and favors are awesome! Always love to find good, boy themed diy party ideas. Great job on those cupcake toppers! And how cool is that cupcake tattoo? I never knew that existed. This is just ADORABLE!! I love it!! Following you from the Delightful order hop! This is such a clever birthday party theme! I love it! Such a cute party! What a fun party theme! Visiting from Hoo's Got Talent! Cute party! Love all the food names! This is an adorable idea! Makes me miss my "little guy" who is now 21. 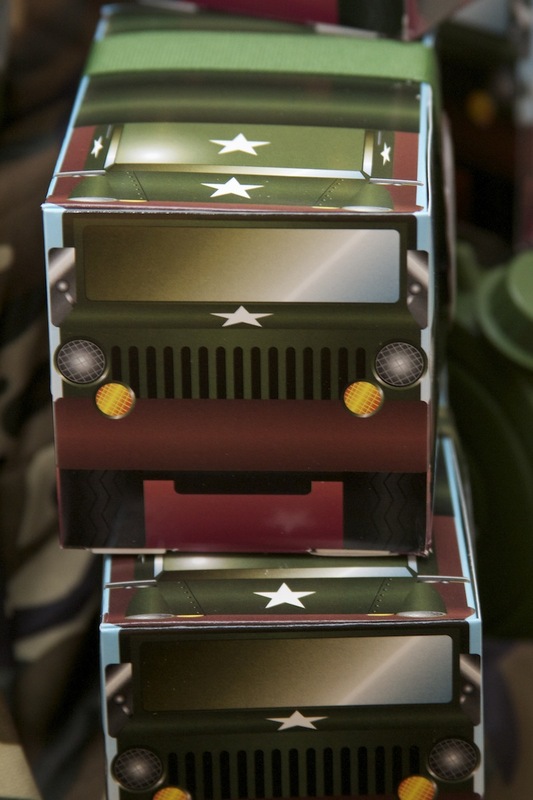 He was a GI Joe/Army nut! Great job! Grabbed your button! Would love for you to "grab" back! Fantastic touches! 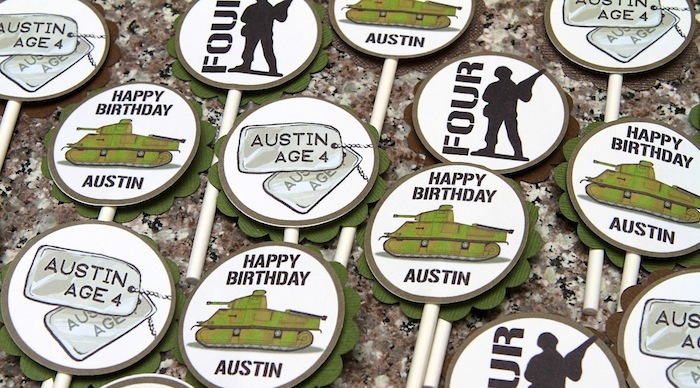 The cake and cupcake toppers are especially fun! Seriously, Jodie!! My jaw is on the floor! This is fantastic! 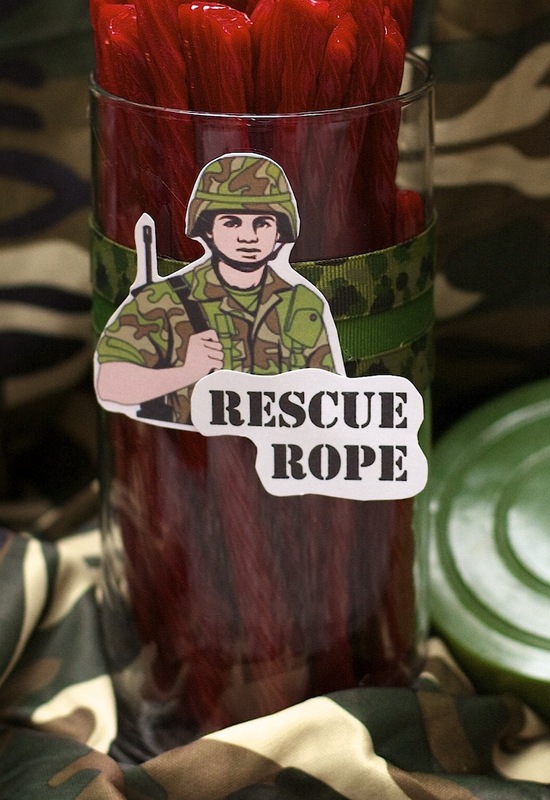 I especially love the chocolate bombs and rescue rope! I could stare at a Twizzler all day and never think of that! Love the Chocolate bombs and rescue rope...great attention to detail! I visited your blog today. I noticed you were interested in Interior Design. My daughter, Jess, is an Interior Designer, and has her degree in it. I love photography too. 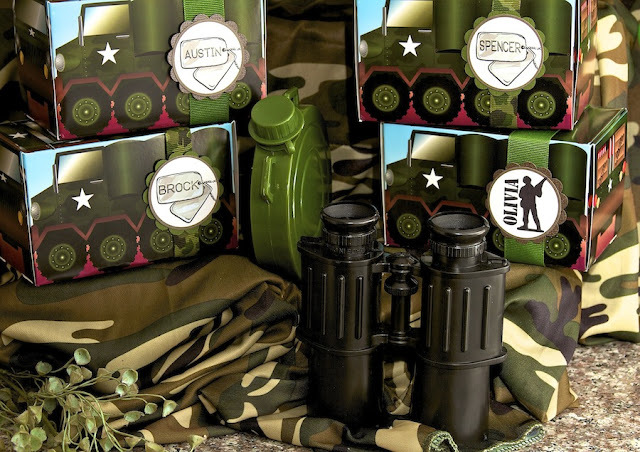 Your army pictures bring back so many memories. My son and his friend dressed up as army boys for Halloween one year. Those cupcakes look so delicious. Me and my daughters just started a new blog, and we would love if you could visit us and follow. The link is: http://redrosealley.blogspot.com I would enjoy coming back and visiting with you and seeing all your lovely photos. Hope to hear from you, and have a sweet day. Hi Jodie, found you by way of the linky party at Just a Girl. What a wonderful party in every loving detail. Perfectly themed through and through! 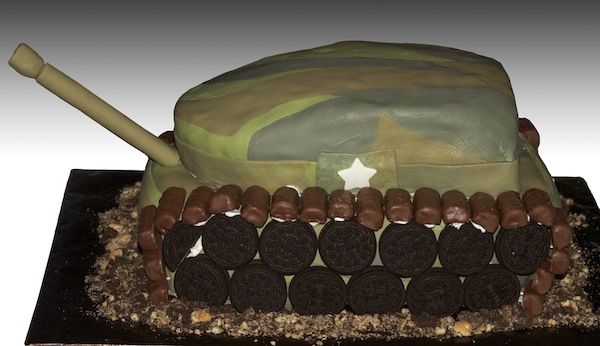 Love the cake and the way you used the Oreos -- brilliant! Oh my goodness Jodie! 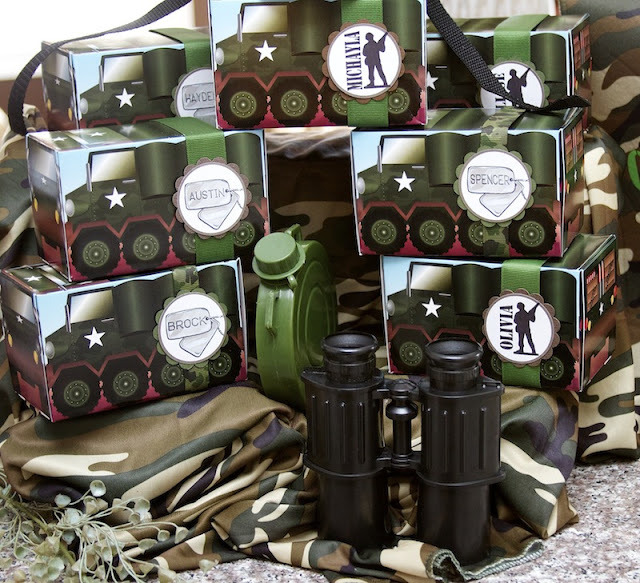 This is so, so cute and holds a special place in my heart since we are an Army family! I just showed all your pictures to my husband. You did a fabulous job with this one girl! Thank you for sharing it with us at Inspiration Friday! Awesome Jodie! You're the one I got the rope idea from then. I'll have to check to make sure I've given the proper link. Thanks for sharing!! The cake is adorable! Love it all!! So adorable...love all the details. Don't you just love a theme and where it takes you?! I just had a preppy pink and green party for my 17 year old! You did a great job! And that cake your friend made is amazing! 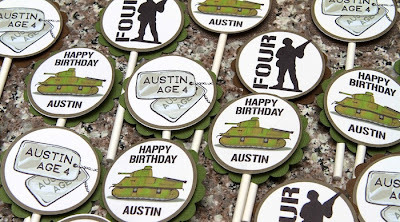 Do you customize the cupcake toppers? If so, I would love to order them. 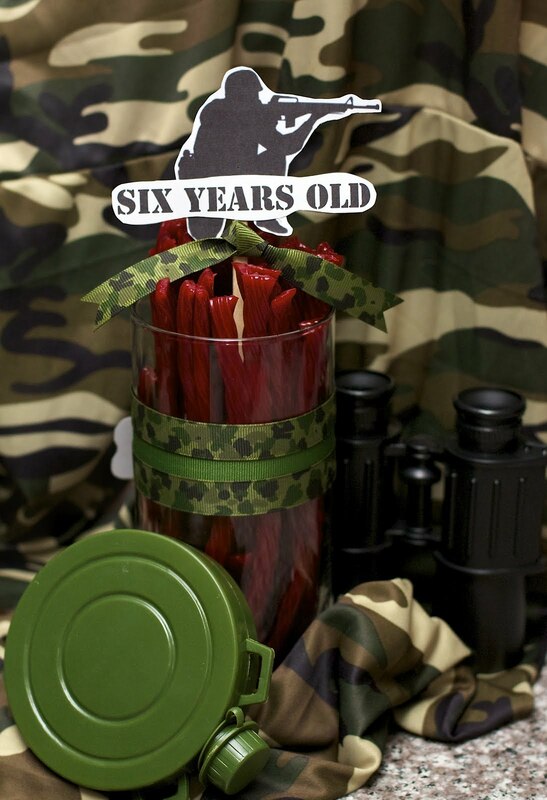 We are having a "Call of Duty" Party for my 7 year old. Loved the dogtag & tank images!